HTC has been in a tough spot in the U.S. market. To this day I can show friends a new HTC device and the response is almost always "who is that?" It's not a good place to be in, especially for a manufacturer that makes some of the best phones available in the world, and especially as HTC prepares for the launch of its latest flagship, the HTC One, in the United States. The good news? HTC absolutely has the product to boost market share and take a lead in the U.S. smartphone wars. It needs to be aggressive and it needs to get its message out there, at any cost. 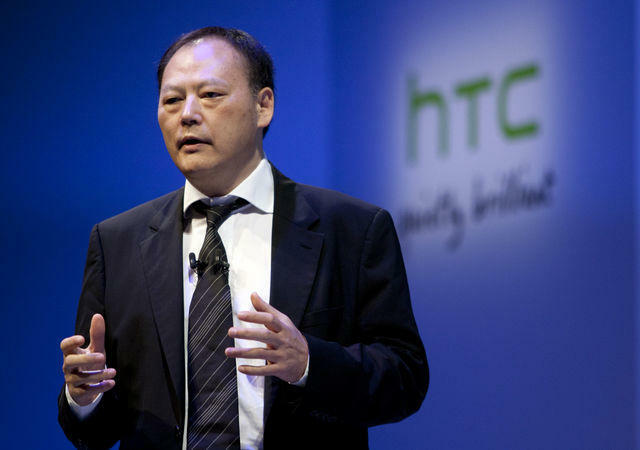 Here are a few ways HTC can re-establish itself as a household name. Market. Market. Market. HTC needs to take a page out of Samsung's book and start aggressively going after both Apple and Samsung. Through commercials, billboards and word of mouth it needs to show that the HTC One has the hardware and software chops (and it does) to take on the iPhone 5 (even the iPhone 5S) and the Galaxy S4. In New York City I see a "The Next Big Thing Is Here" Samsung advertisement on busses, on bus shelters, on street corners and, of course, on TV. Relentless marketing is HTC's key. Thankfully we already know that it's retiring the "Quietly Brilliant" message —silence is a surefire way to fail—and boosting marketing spending by 250 percent. We saw the start of agressive marketing when HTC placed a street team outside of Samsung's Galaxy S4 event, but it can't stop there. HTC should even consider doing store-in-store kiosks, like Samsung is allegedly planning in Best Buy locations. The HTC One was already delayed due to issues related with hardware components. It doesn't take a rocket scientist to realize that's already a bad start, and HTC needs to make sure its supply chain is ready to go. There's no excuse for delays, not for a company that needs to be as aggressive as HTC does right now. A delay could ultimately cost it the only chance it has to beat Samsung and Apple right now. The path is clear, the Galaxy S4 isn't out yet, but it's coming very soon. AT&T will begin taking Galaxy S4 pre-orders on April 16. If I was HTC's CEO, and clearly I'm not, I'd let my team know that there cannot, and should not, be an excuse for not getting the One out before Samsung's flagship. The One is already one step behind because Verizon has opted not to offer the phone, so it needs to grab consumers quickly, and wherever possible. I expect the HTC One to launch for $199 with a new two-year contract, and HTC needs to make sure that happens. The company has a clear advantage at the $200 price point because the Galaxy S4 is going to cost $249. HTC's going to shoot itself in the foot if it tries to compete at the same price. At a $200 price point, consumers will walk into stores and see a phone that feels nicer—the aluminum unibody design is stellar—and costs $50 less. Families upgrading multiple lines will want to take advantage of that price point. In many ways, Samsung's expensive price tag is an open door for HTC to succeed, but it needs to walk through that door. Here's another tough point for HTC: sales training. HTC needs to make sure that sales teams at Sprint, T-Mobile and AT&T in the United States know how to show off all of the unique features of the phone. This isn't another Android phone, instead it runs HTC Sense 5 with tons of unique capabilities. I'm talking about showing off the IR blaster and TV application, showing how BlinkFeed works, showing the highlight reels shot with the 4-ultrapixel camera and more. Sales staff should also show consumers how easy it is to migrate from another phone to the HTC One; it literally takes just a few minutes. The HTC One is one of the most stunning phones we've picked up out of a box in years and probably offers the best first impression since the iPhone 4 did with its glass body. Sales staff, and HTC, need to show off the aluminum unibody design and explain what it means to consumers. Here's our take: you're getting one of the most artistic and well-built phones to hit the market in the past decade. HTC's design team went all-out on the HTC One, and you can feel that when you pick the phone up. If HTC wants to win, it needs to show this in its commercials. Here's an idea, how about a commercial that states: "Recycle your plastic. Go HTC." Or a commercial that shows off the manufacturing process. The One needs to be the first step for HTC. We loved the HTC One X, the One X+ and several other devices, but they failed ultimately because HTC basically pushed them to the market and moved on. I need to see that attitude change. I want to see HTC show that this is the first of many new devices. Consumers need to know that, like Samsung, they can expect a better device next year, and one that builds on the lessons HTC learned from the HTC One. It's key because it leads to consumers saying "I'm waiting for the next HTC One," or "When is the next One coming out?" I hear "When is the next Galaxy coming out" or "When will Apple release the next iPhone?" HTC needs that street talk. There's no guarantee HTC can overtake Apple and Samsung in the U.S. In fact, I think it has a long road ahead. But that doesn't mean the company can't start to regain lost market share by eating into the huge slices Apple and Samsung already have in this market. The ideas above should be considered a starting point.